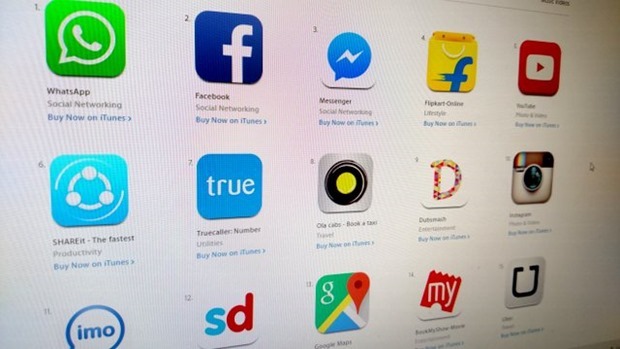 Apple Brings Low App Pricing Tier In India, As Low as Rs. 10! However, in some countries, prices have been increased, to take into account tax structure and exchange rates. Turkey; South Africa; South Korea and Mexico. 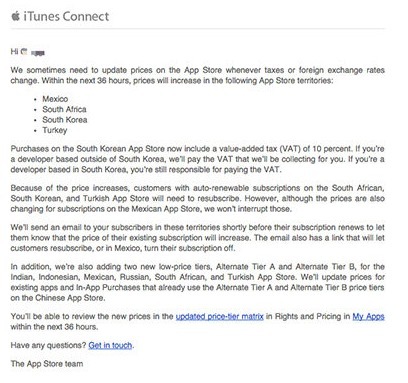 In South Korea, Apple will charge an additional 10% as Value Added Tax; meanwhile subscribers of apps in South Africa and Turkey and South Korea will need to re-subscribe the app after the price increase. Mexican users need not re-subscribe, although prices has been increased there. In 6 countries, Apple has introduced new low price tiers, which will enable developers to price their apps at a lower price. These 6 countries are: Indian, Indonesia, Mexico, Russia, South Africa, and Turkey. Apple had been using this Alternate Tier structure in China since last year. The same model has now been implemented across these 6 countries as well. Note here, that in case developers wish to price their apps higher than the alternate tiers, they are always free to do so. Earlier, it used to be $0.99 for each of these countries. The market is upbeat after this announcement; as such alternate pricing tiers will encourage more users to shell out money for using apps. As per various tech observers, the baseline of Rs 60 was considered as ‘expensive’ for an average smartphone user. It would be interesting to observe Google’s strategy now, for their Google Play Store apps on Android, as the minimum price of an app is $0.99 as of now. In case Google also announces such alternative pricing tiers for Android apps, then we can witness entirely new market for applications. Do you think that Apple will succeed in pushing more apps purchase with their new alternative pricing structure? Or it will reduce the margins for developers? You can share your views by commenting right here!